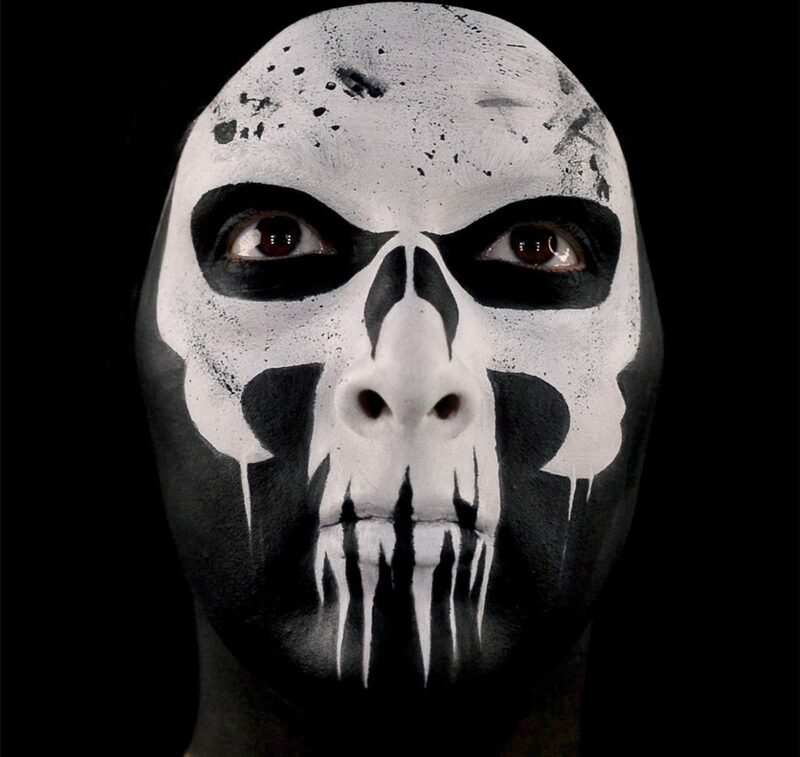 When a mission of revenge leads Frank Castle down a path leading toward a giant conspiracy, you know there will be a trail of bodies left behind. But who will be left standing by his side when the smoke clears? 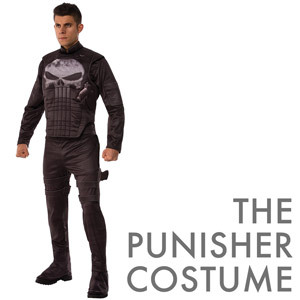 The Punisher has earned himself a lot of fans between his debut in a 1974 issue of The Amazing Spider-Man and the Season 1 of The Punisher Netflix Series. He’s a good guy that plays by the bad guys’ rules, a serious vigilante. He has values, he respects loyalty, he’s brave to the point recklessness, he would die to protect the people he loves and he is almost physically limitless… almost. That is what makes him the latest iconic anti-hero for our time. 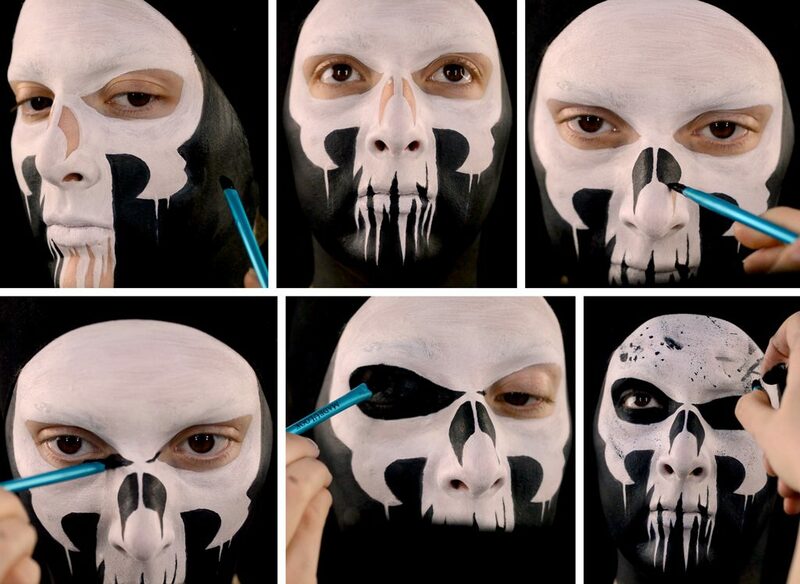 We asked Caitlyn Kreklewich to do a look that showed some love for The Punisher. 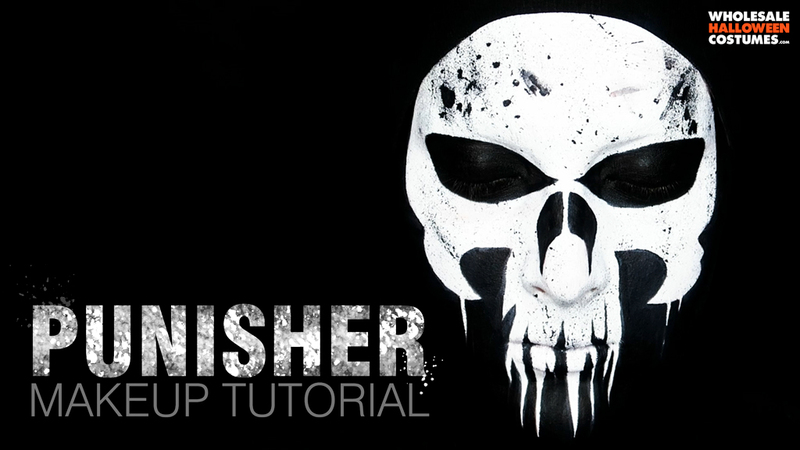 Watch the video to see her transform herself into this grungy version of The Punisher’s iconic logo, or follow along step by step below. For the full illusion, start with a black wig cap. If you have dark hair, you can skip the wig cap. 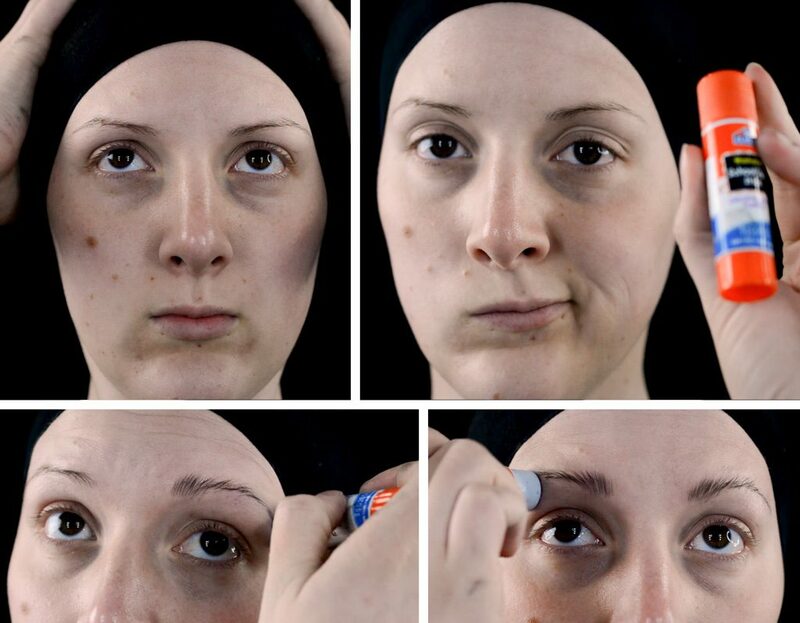 Hide your brows using a skin-safe Elmer’s Glue Stick to smooth them into the skin- allow to dry. Find a reference image of the logo to use as a guide. 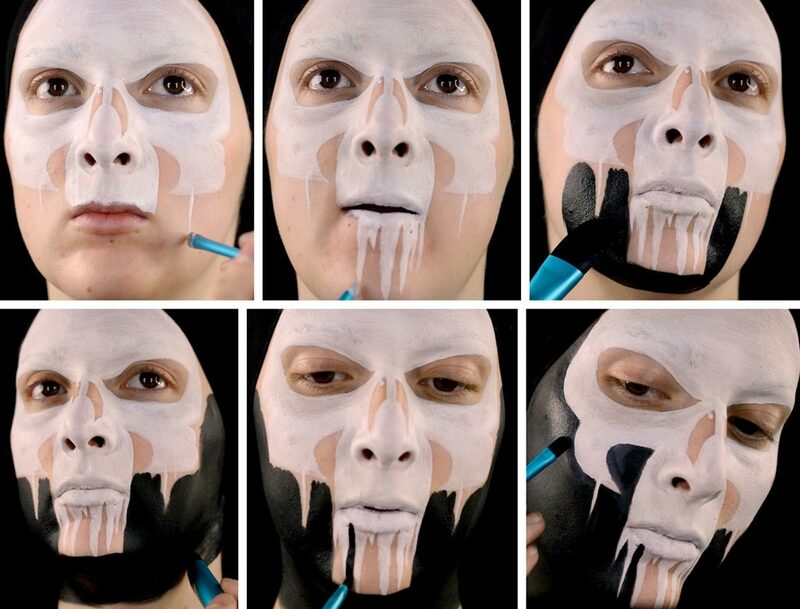 Start laying the outline of the logo onto your face- around the forehead, onto the cheeks, across the upper lip then onto the tip of the nose. Use thinner lines to map out the holes for the nose and the outlines of the eye sockets and keep the edges crisp. Fill in the rest of the logo with white. Use a very fine brush or a light hand and give the bottom edge of the logo a drippy ragged look. Paint a few very thin drip lines down from the cheeks. Fill in the bottom lip with white and paint thin tapered lines down onto the chin- vary the sizes and lengths to make it look random. Start filling in all the bare skin with black. Go down onto your neck for the full illusion. 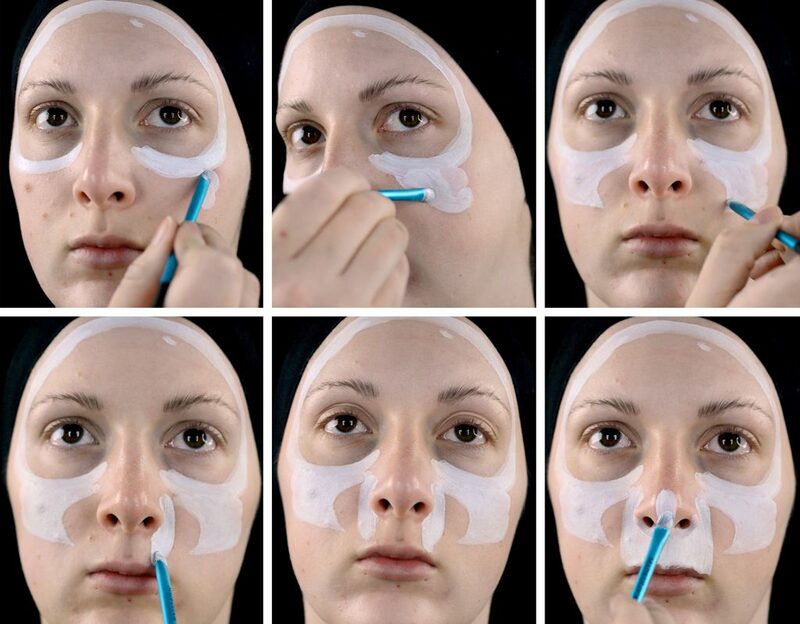 Keep the edges crisp by using a slow steady hand as you fill in around the drips, in the nose and eyes. 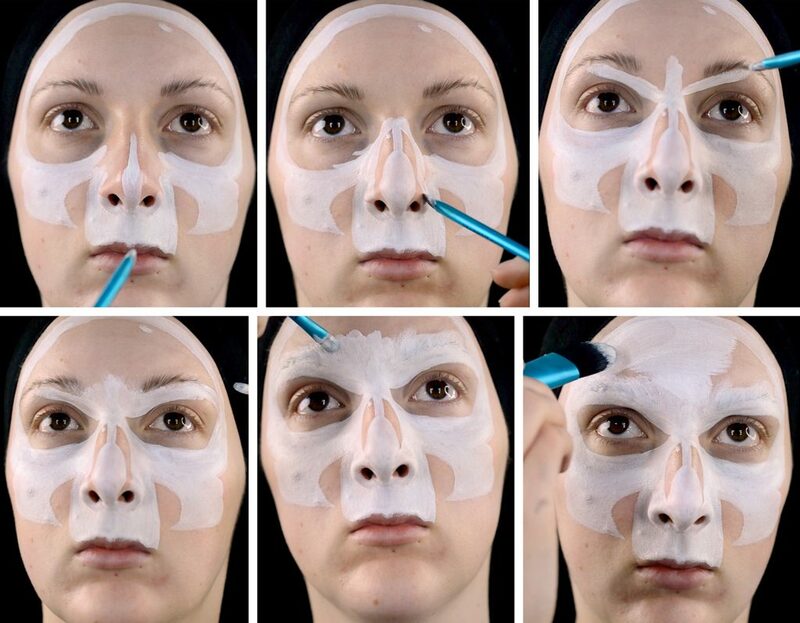 Using a stiff bristled brush to fleck watered-down black makeup randomly around the face. Browse our makeup department to find supplies to complete your own amazing looks! Click the images below to shop the costumes! 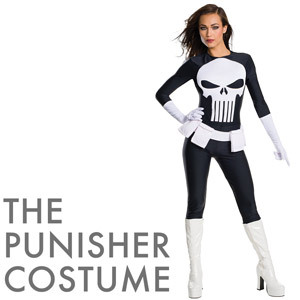 Spread the bold mark of The Punisher! Save it on Pinterest!